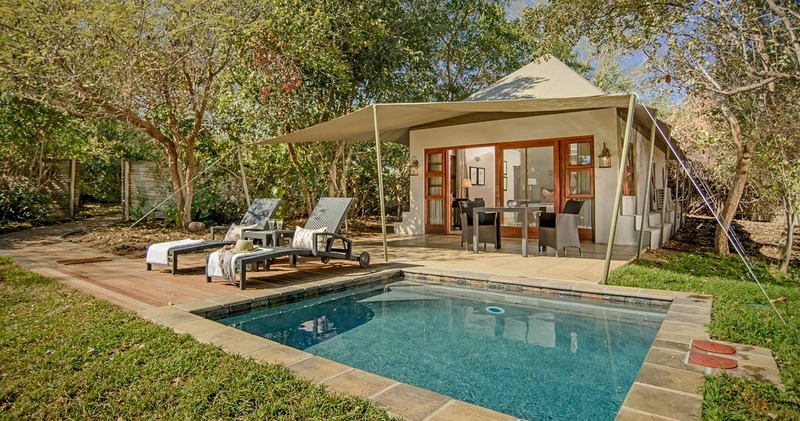 An exclusive 5 star lodge, Savanna is situated in the midst of the Sabi Sands. Savanna lies in an area where 'Big 5' sightings are so frequent, it is not unusual to see lion, leopard, elephant, buffalo and rhino in a single game drive. 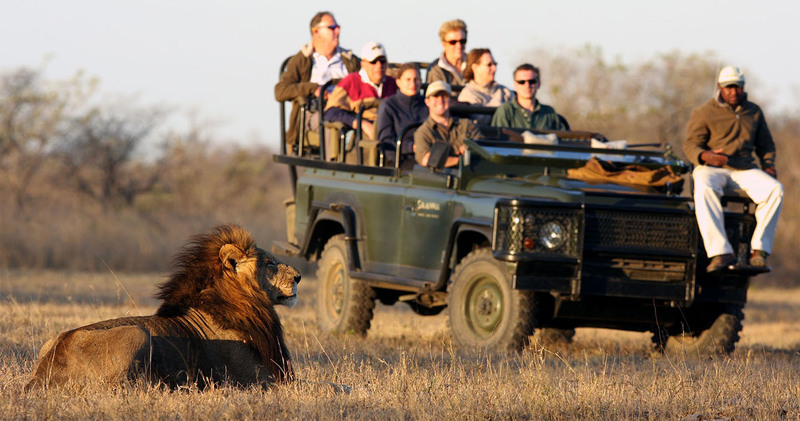 Specially designed game viewing vehicles and highly trained guides with vast knowledge of the African bushveld, take guests on close and intimate encounters with a large variety of wildlife. Numerous nearby dams and a series of waterholes in front of the lodge attract many species, especially in the dry winter months when elephants are daily visitors. A close-knit team of friendly staff provides personalised service with each guest regarded as a valued friend. 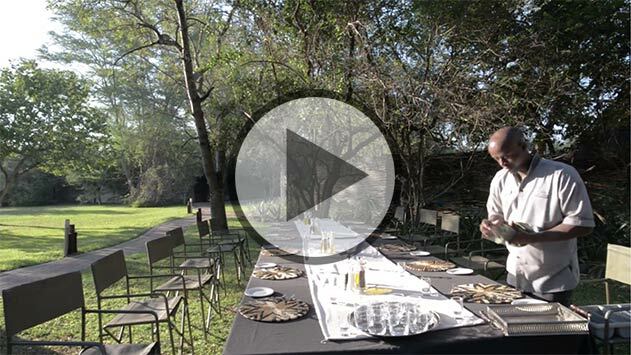 From the moment they arrive guests feel part of the Savanna 'family'. 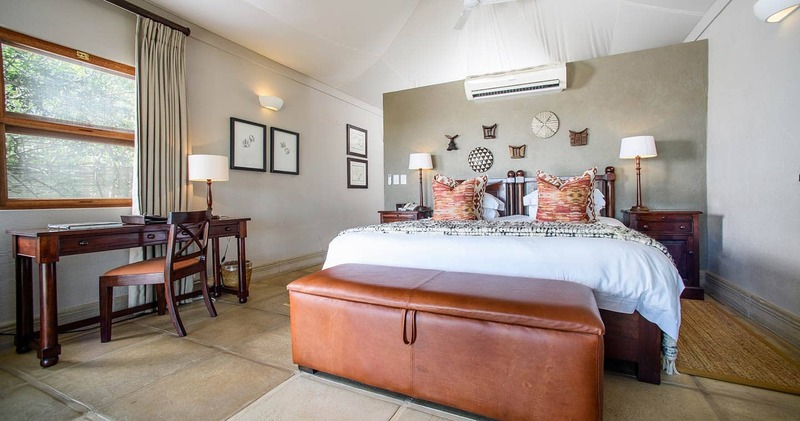 Savanna has nine beautifully appointed suites. The thatched 'Savanna Suite' consists of two separate en-suite bedrooms, each with their own deck and plunge pools. These rooms lead onto a central elegantly furnished lounge, ideal for families or a small group wanting privacy and exclusivity. Seven of the nine suites offer a unique blend of “Out of Africa” romance with the convenience of every modern facility. They have Bedouin-styled draped ceilings below tented roofs, set on permanent structures for privacy, security and comfort. All suites are the epitome of elegance and comfort, the decor combines a colonial and classic mix of colours, fabrics and textures. All suites have a private plunge pool, wifi, air-conditioning, fans, en-suite bathrooms, inside and outdoor showers, mini bars and tea and coffee facilities and covered patios. The three Executive Suites each boast a lounge area, covered patios, wooden deck and private plunge pools (source). Experienced and dedicated game rangers and trackers impart their amazing knowledge of the natural world, allowing guests to unobtrusively enter the lives of the largest and smallest creatures. From the mist shrouding the bush at dawn till the blazing sun sets behind distant mountains, the magic of a Savanna safari will provide incredible photographs and unforgettable memories. Land Rovers have been specially modified for guests' comfort and safety with bucket seats seperated by large storage boxes. In order to maximise photographic opportunities, there are never more than two people in a row unless guests request otherwise. The vehicles are set up to seat seven but can easily be adapted to seat 10 guests if required. In addition, there are never more than two vehicles at a sighting, except with very relaxed animals in open terrain, in which case three vehicles are allowed. The afternoon game drive includes a stop for sundowners while marvelling at the splendour of an African sunset, and the absolute tranquility of the bush. On the morning drive there is a tea/coffee stop with the famous Savanna Amarula hot chocolate or coffee a highly recommended alternative for the more adventurous at heart. Optional game walks are offered to guests who would like to experience the fauna and flora on foot. Led by an armed ranger and tracker, they provide fascinating insight into the geology and botany of the area. Trackers who have grown up in local villages impart a wealth of information on the uses of bushveld trees and plants in tribal customs and rituals, as well as their herbal and medicinal properties and practical applications. A peeled twig from one tree, for instance, makes a good toothbrush while the silky leaves of another provide the softest toilet paper. Walks generally take place in the area around Savanna Lodge in between game drives and meals but if guests prefer, a longer walk can replace a drive or be incorporated as part of a drive. The thrill of quietly approaching game while on foot, of close encounters with the smaller creatures and the myriads of wild flowers and beautiful butterflies they attract in summer, brings an added dimension to the magic of an African safari (source). 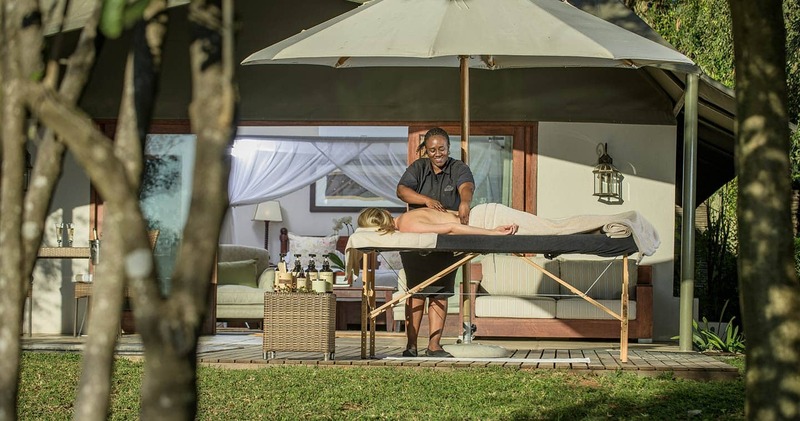 Savanna Lodge offers a wonderful honeymoon special. Brides receive a 50% discount when staying for a minimum of three nights. Valid through 31 December 2019. We have had the wonderful privilege of staying at Savanna twice. We have been to several other lodges in South Africa and Savanna is our all time favorite. 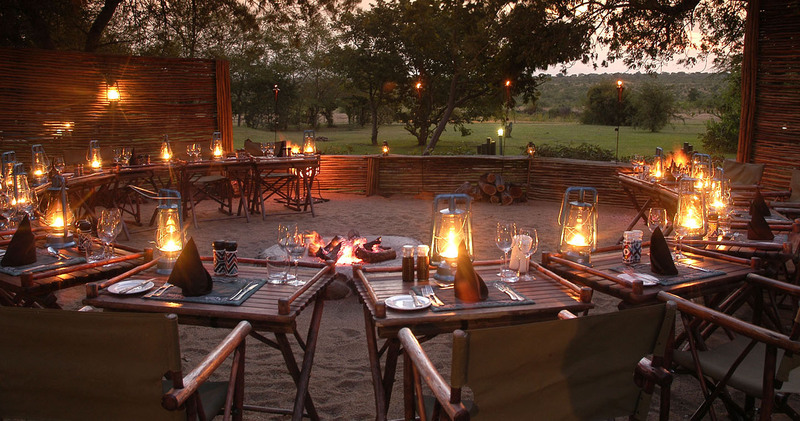 The rooms, the food, the game viewing are wonderful - but that is true of most lodges. What sets Savanna apart is the staff - Niel is the best game ranger we have ever had and the staff at the lodge really makes you feel like you are their honored guest - no request is too hard. 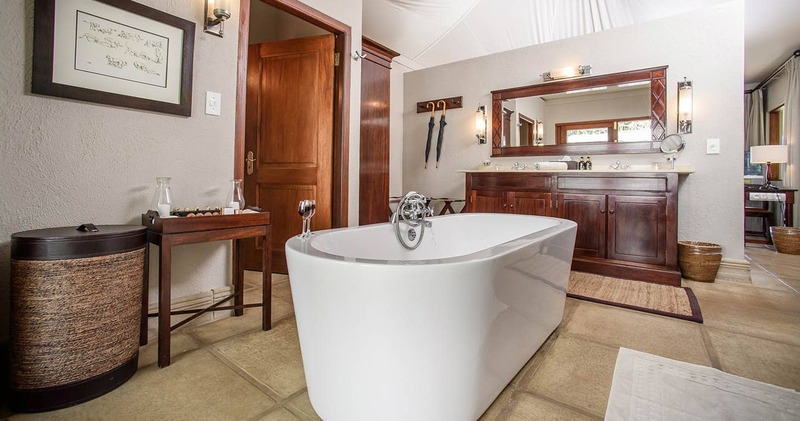 The extra little touches also make this a special place - a hot bubble bath after your evening game drive - with sherry. There are cheaper places in the Sabi Sands, and there are lots that are more expensive - but none gives you the wonderful welcome and sense of passion for the bush that you receive at Savanna. Not much to add to everyone else's comments, but worth stating agin: Savanna is amazing. It was our first ever safari and we were blown away. The service is the highlight... the staff can't do enough for you, and is there at every turn making sure you're enjoying yourself. The suites are very comfortable and the food is 5 star. We lucked out and saw absolutely everything on our game drives (the big 5 within the first two drives) and our ranger (Patrick) and tracker (Nordick) made everything so much more interesting. We would absolutely recommend this place to anyone. Never a dull moment at Savanna. Get into the mood with Paddy Hagelthorn's (one of Savanna's managers) wildlife photography book, it is absolutely stunning! 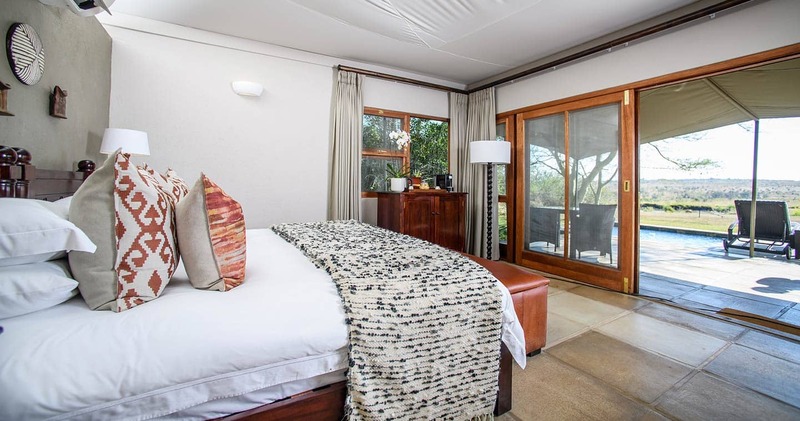 Please note: Indicated price is for a 'Luxury room', which is the most basic room available at Savanna Game Lodge. A single supplement may be applicable. Special offer: A special honeymoon offer is available. Read all about travelling to Savanna Game Lodge on our getting to Sabi Sands page. Savanna is best accessed through Kruger/Mpumalanga International Airport near Nelspruit. Savanna welcomes children from the age of eight years old. Children between the age of eight and sixteen, sharing with an adult, pay 50% of the full rate. 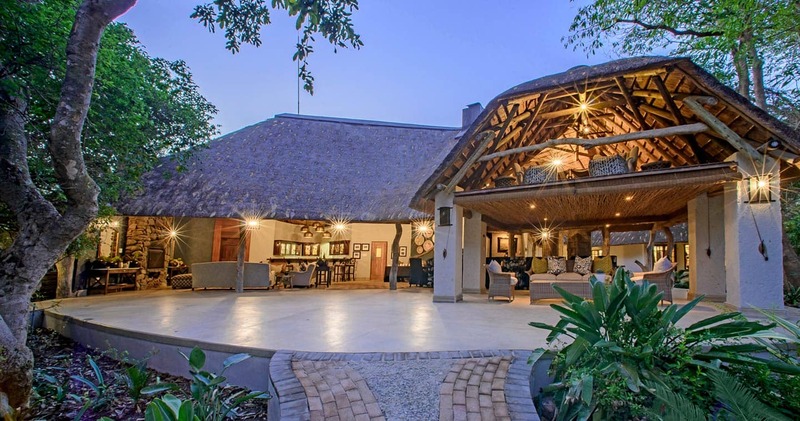 We hope you have found all information needed to decide that Savanna Game Lodge in the Sabi Sands Game Reserve is the perfect place for your next travel adventure. Please fill in the contact form and we will get back to you soon!